Do you cats need a special treat? 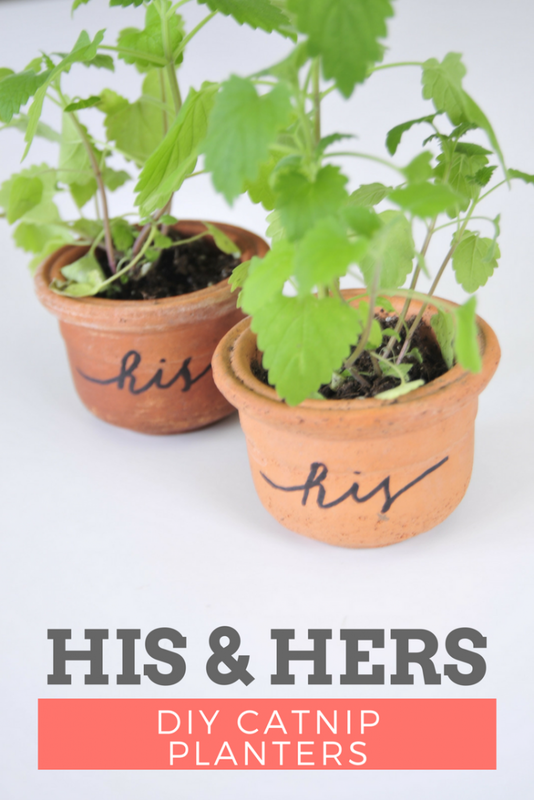 My little furballs did and that’s why I made these super fun Hand Lettered His and Hers Catnip Planters. I have two big, bully boy cats, so in this case, it’s His and His Hand Lettered Catnip Planters! 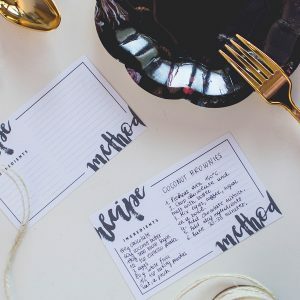 They are totally on trend with hand lettering and they are so easy and fun to make. I added fresh catnip to the hand lettered planters so they could have their own little cat party. I have the best secret about cats. Anytime I want to give them extra cuddles or do anything out of the ordinary, I got straight to giving them a little extra snack. My go to is Rachael Ray™ Nutrish® Longevity Chicken with Chickpeas & Salmon Recipe. 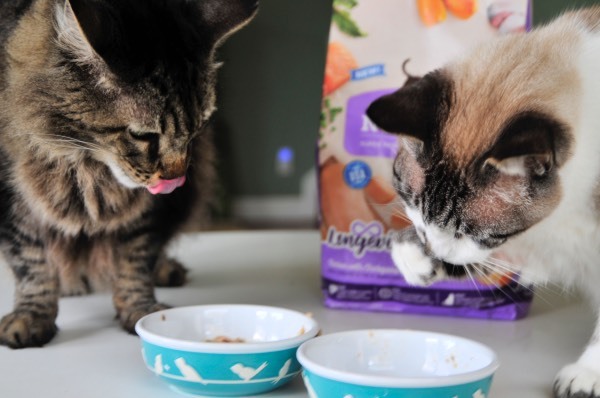 My cats and I love this brand because real U.S. farm-raised chicken is always the #1 ingredient, plus it has real salmon. 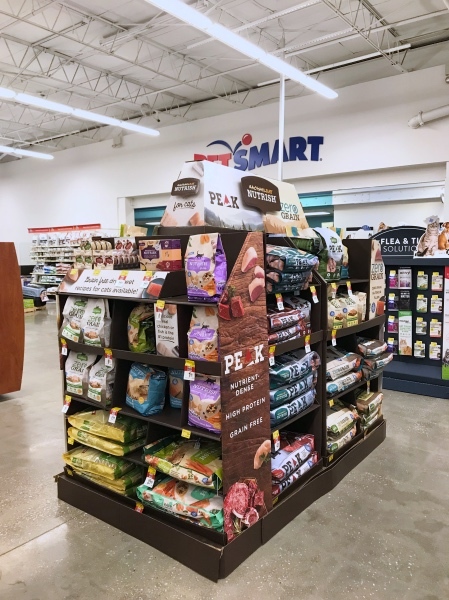 I found mine and Petsmart where they had a lot to choose from! 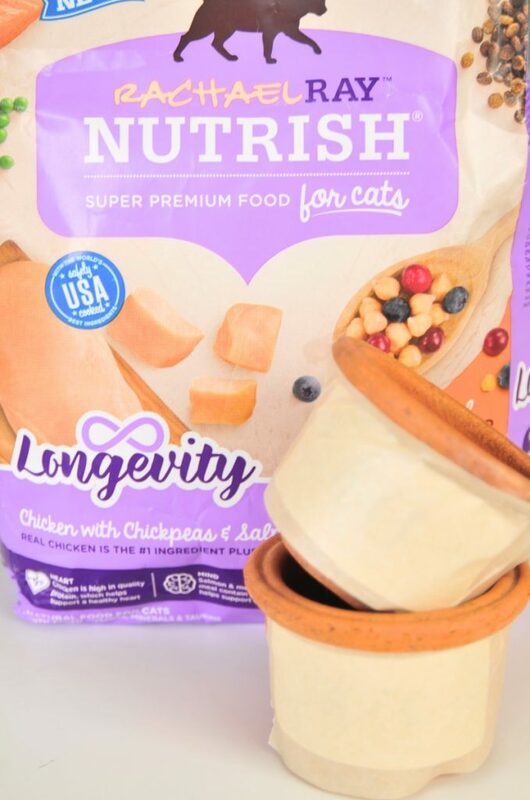 Nutrish Longevity is a real superfood blend for lifelong nutrition with a focus on your cat’s heart, mind and body. HEART – Chicken is high in quality protein, which helps support a healthy heart. MIND – Salmon and menhaden fish meal contain DHA, which helps support mental acuity. BODY – Chickpeas are high in protein and fiber, which help support strong muscles and optimal body weight. My guys just love it! Just look at how Handsome (he’s on the right) can’t help but steal his Rachael Ray™ Nutrish® Purrfect Entrees™ from Cobra! Purrfect Entrees are yummy recipes made with wild caught salmon, white meat chicken, or yellowfin tuna – accented with tender veggies and served in delicious culinary sauces. 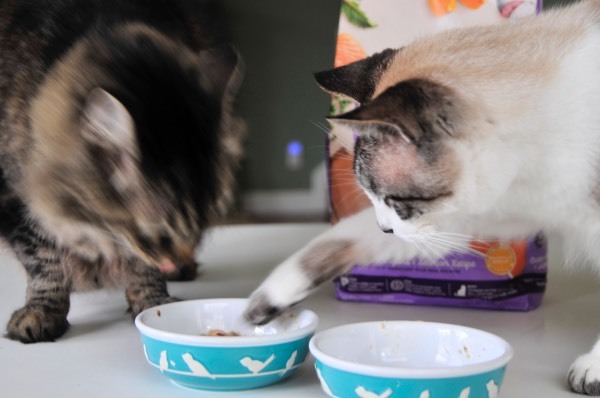 They are culinary classics… purrfected! 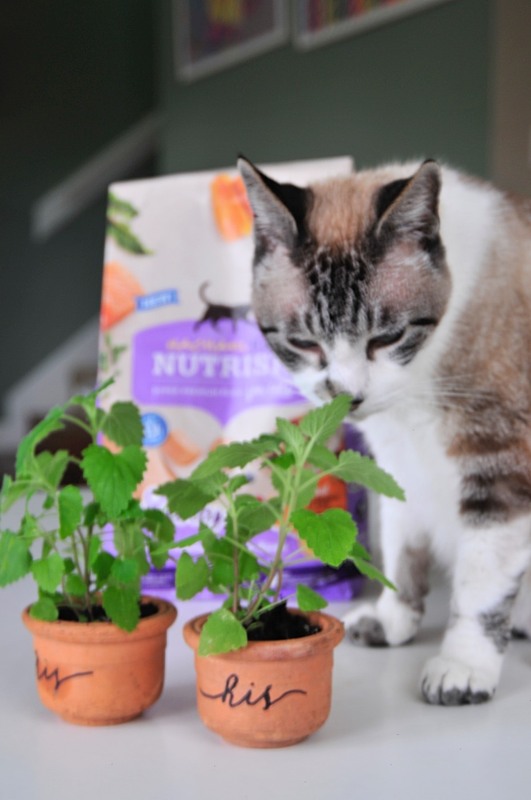 It puts them in the mood to hang out, have fun, and try out these great DIY Catnip Planters. So let’s get to making them. First be sure that you print out the His and Hers Printable here. You’ll notice that this printable is in reverse. 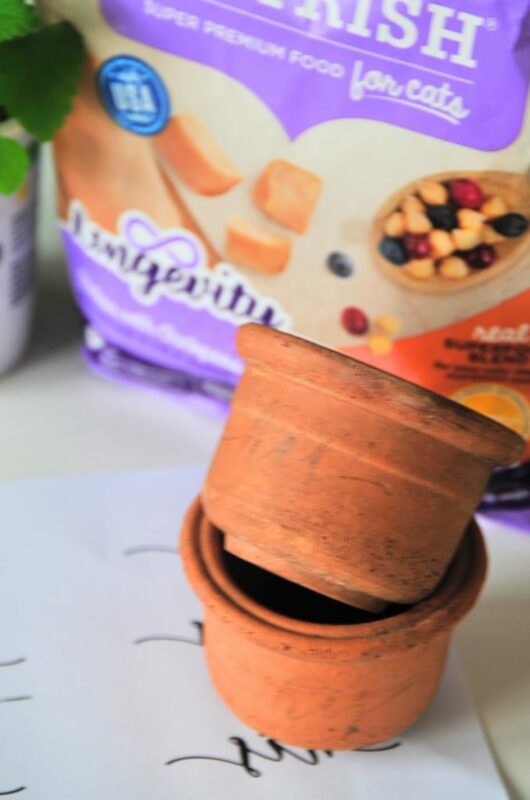 That’s so you can use it to trace the image and have a finished planter that has text the correct way. Print your His and Hers printable on regular copy paper. 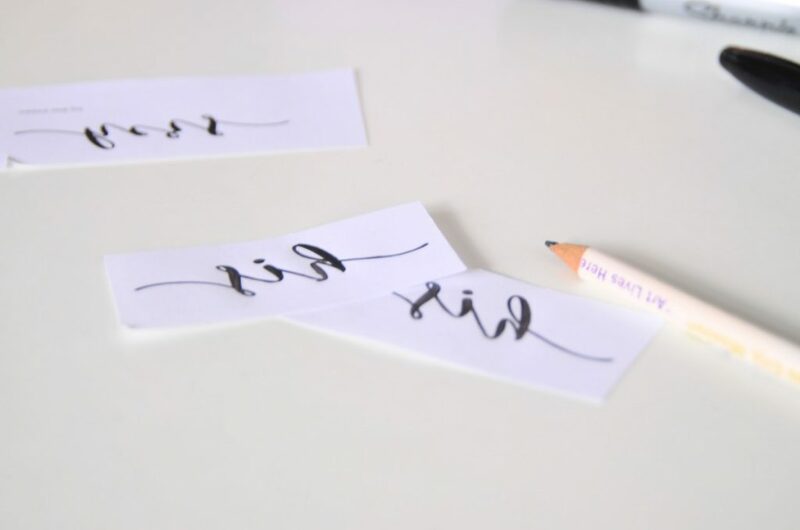 Cut around the text so that it’s just a small piece of paper and trace over the text in pencil. Make sure that when you trace you use A LOT of graphite. Make your tracing dense and dark so it will transfer to the terra cotta. Now place your paper graphite side toward the terra cotta and line it up just where you want it. 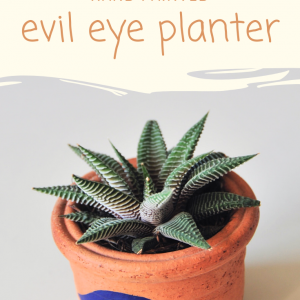 Use painter’s tape to affix the paper to the planter and be sure that it’s lined up. I know it sounds crazy, but these are hard to read backward. Be sure that your paper is right side up! Use the “h” and “i” to be sure. 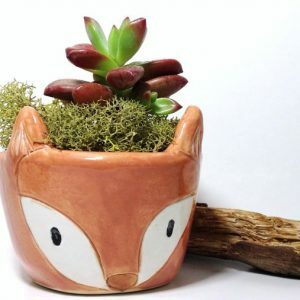 Use a credit card, a butter knife, or even a wooden stick from outside to rub the pencil onto the terra cotta. Be sure to rub firmy so the graphite transfers over well. 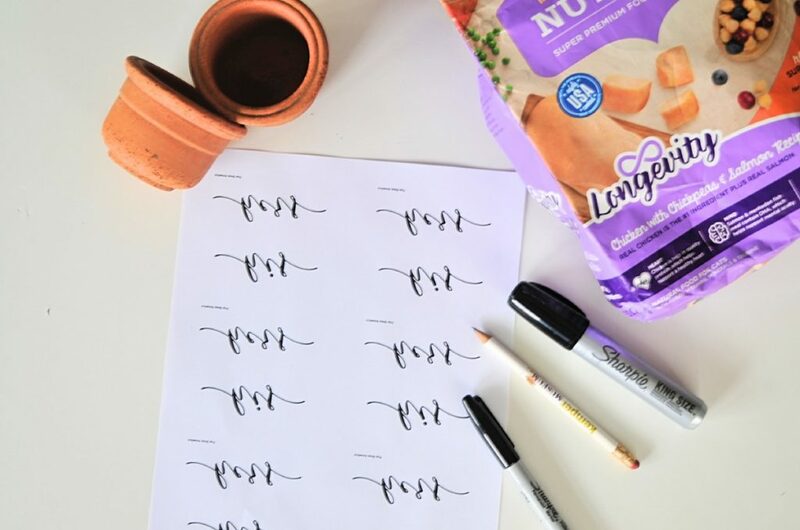 Use a sharpie to draw fill in the text. Don’t worry about making it perfect. If you take a close look at mine, you can tell that mine are a little wonky. The important part is to try to use smooth event strokes. Don’t worry about tracing a second time. They will look great even if they are not perfect. 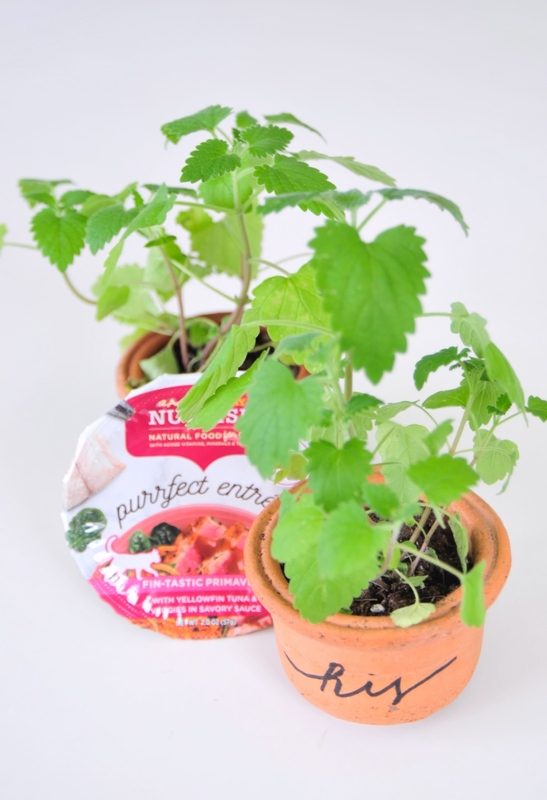 Now just add your fresh catnip to the planter and let your kitties know that you have a treat for them! My guys took a couple of bites and then left it alone but you should be careful when giving this to your cats. Make sure you just give them a bit and put it somewhere out of reach when not in use. 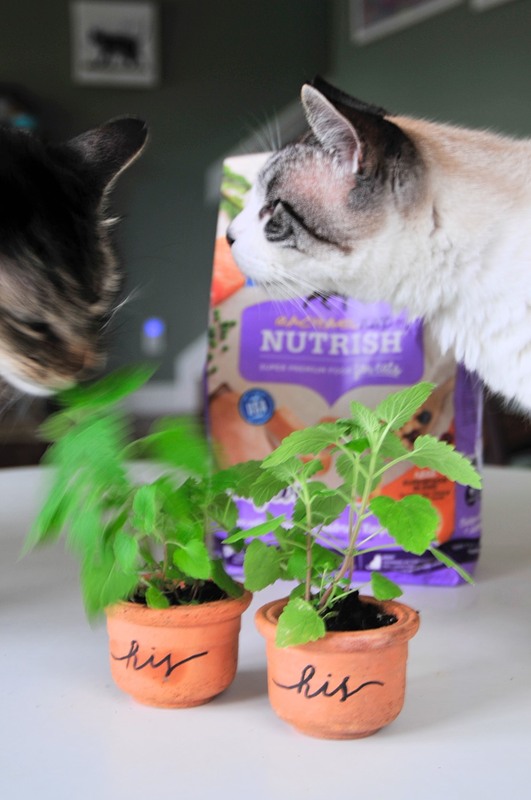 I don’t know if my cats loved their Hand Lettered DIY Catnip Planter or their Rachael Ray Nutrish more! But then again who’s keeping score? 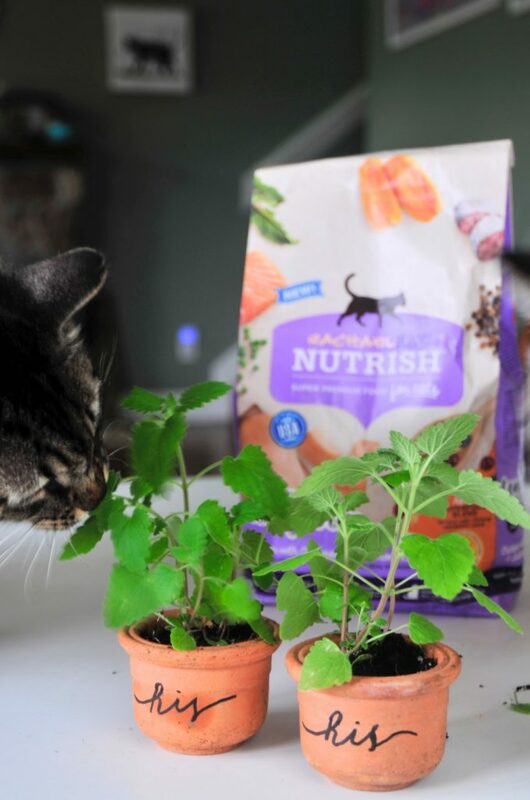 If you are thinking about switching your cat’s food to Rachael Ray Nutrish, be sure to do it slowly over the course of several days. And then feel good about your switch because a portion of proceeds from each sale of Nutrish is donated to The Rachael Ray Foundation, which helps animals in need. Through December 2017, more than $23.5 million dollars have been donated to animal charities and other organizations that do good for animals. The funds are used for food, medical supplies, treatments, and more. Many more animals around the country need help, and through The Rachael Ray Foundation, together we can make a real difference in the lives of many four-legged friends! Isn’t that the sweetest? Shop now and get this awesome coupon code. And find out where it’s available in your area here.